That leads to lots of breaks from fitness programs. Those who decide to go for an intensive martial art like Muay Thai have much better odds of sticking to their workout goals. Muay Thai is a complex martial art that utilizes eight limbs as weapons, leading to an infinite number of techniques for you to learn. That means you will never stop learning new things regardless of how long you train. It’s why kids in Thailand start training almost as soon as they can walk. The longer you train, the more technically savvy you will be. Don’t you wish you started training Muay Thai earlier now? No need for despair. There are still many benefits you can get from training Muay Thai at any age. You start enjoying these benefits as soon as you walk into a Muay Thai gym for the first time. Those who started training earlier are already enjoying them. How often have you seen a Muay Thai fighter that wasn’t lean and shredded? Muay Thai classes will keep you in excellent physical condition. You can burn up to 1,000 calories in a single Muay That class. You’ll have lots of fun learning and practicing various techniques, and there’s an endless amount of drills to choose from. You won’t find yourself repeating the same things over and over again each class. That makes it a whole lot easier for you to stay motivated. Muay Thai does more than just increase your heart rate; it also helps you improve your flexibility. That’s because certain techniques require you to maneuver and bend your body. Improving your flexibility becomes more difficult as you age, so the sooner you start working on it, the better. Improved flexibility and strength gives you improved posture. That means you don’t just feel and become healthier when you train Muay Thai, you also look better, and move better. Signing up for a Muay Thai class gives you an excellent opportunity to meet new people from different walks of life. Our circle of friends tends to shrink as we grow older and pick up more responsibilities. 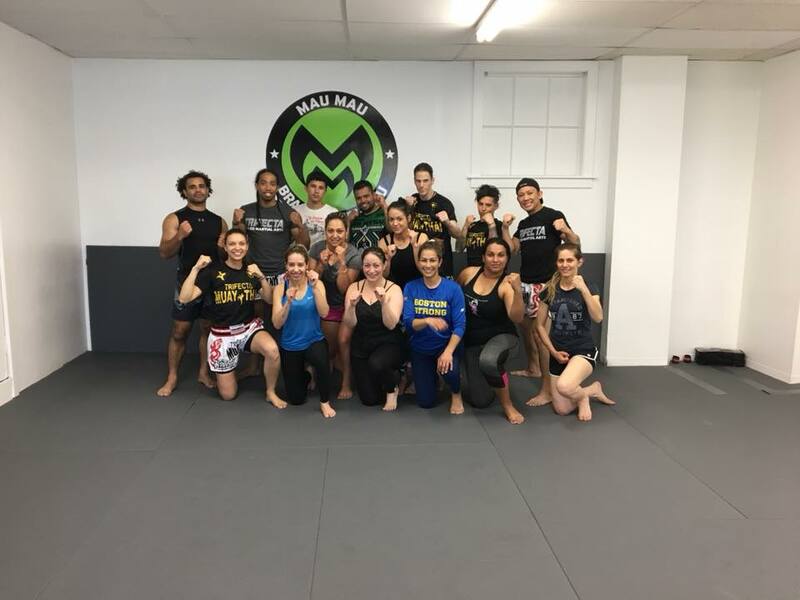 Signing up for a Muay Thai class can be an excellent way to make new friends who you can enjoy other activities outside the gym besides Muay Thai with. Your shared interest in the art of eight limbs will serve as common-ground you can use to build relationships with others at your Muay Thai gym. Friends aren’t the only thing you tend to lose with age; the same can be said about the density of your bones. That issue becomes even more severe if — like most people — you’ve gained weight over the years. That can lead to increased ailments and diseases, such as osteoporosis. It’s hard to avoid gaining weight as you get older since your metabolism slows down. If you spend most of your day staring at a computer screen, your odds of gaining weight is further increased since you have longs periods of inactivity while you’re awake. Gaining weight as you get older doesn’t just mean you are no longer able to see your six-pack; it can lead to serious diseases like diabetes which can lead to bone loss. The key to avoiding this is making sure you get lots of exercise. Signing up for a Muay Thai class is a great way to get this much-needed exercise. You’ll have lots of fun learning new techniques while burning off excess fat. The movements you drill will also help develop other aspects of your personal fitness like your flexibility and coordination. Hitting pads and heavy bags will help your build bone tissue, especially if you are on a calcium-rich diet. It does not get boring over time like other activities like jogging, so it’s easier to stay motivated and stick with your workout routine. You probably weren’t expecting to learn that joining a Muay Thai gym would be good for your skin, were you? Well, it is. Anything that makes you sweat is good for your skin. When you sweat, dirt and oils that are trapped in your skin are pushed to the surface, clearing up your pores. Leaving such impurities in your skin will damage it over time, making it appear wrinkled. This is the reason you will hardly find a spa that doesn’t have a sauna or steam room. Without a doubt, you’re going to break a sweat every time you attend a Muay Thai class. You’re also going to increase your heart rate during your session. That leads to more blood and oxygen being pushed to your skin which then cleans all the impurities in your pores. It also leads to additional nutrients being sent to your skin. Sure, you missed out on many benefits by not signing up at a Muay Thai gym earlier, but it’s never too late to get started. At the end of the day, your age or overall fitness level do not stop you from taking advantage of the many awesome benefits of training Muay Thai, all you need to get started is a willingness to take better care of yourself. Don’t lose out on these benefits any longer. Head over to MauMau Brazilian Academy and experience the wonderful benefits of Muay Thai today! Classes Monday, Wednesday and Friday 6:30pm to 8:00pm.